No matter how diligently you care for your teeth during the day in Highlands Ranch, Colorado, you might be harming them overnight or in other situations without even realizing you are doing it. Many people experience teeth grinding and jaw clenching, or a condition known as bruxism, while they sleep or in stressful situations. In several studies by the American Dental Association, several studies released signs and symptoms to be aware of. 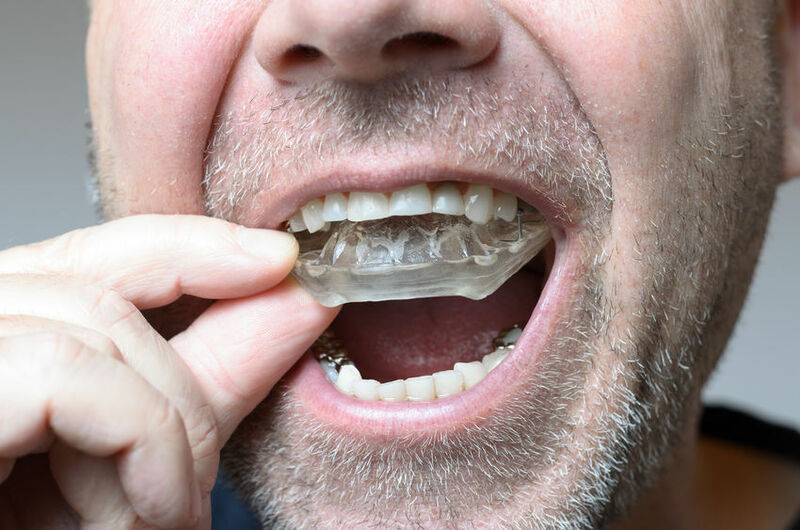 One telltale way to know if you suffer from bruxism is waking up with a sore mouth or a tight jaw. You might also notice that your teeth begin to wear down in odd patterns over time. These changes might not be obvious at first since many people grind their molars and back teeth that are not always very visible. Our team at HR Family Dental is well versed in the symptoms and warning signs and can help you determine if you’ve been grinding your teeth or clenching your jaw while you sleep. We’ll work with you to develop a customized treatment plan based on your specific symptoms and lifestyle.